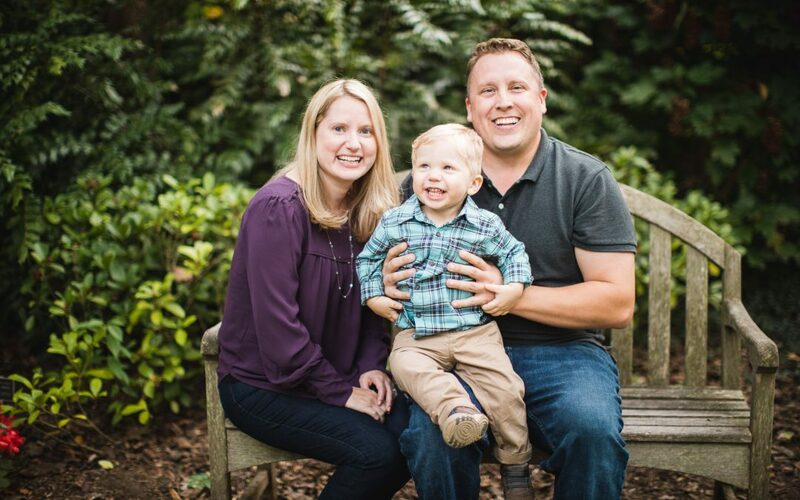 A few months ago, I met up with this family trio for a session at the beautiful McCrillis Gardens. We had gorgeous weather for our planned Sunday session, but we didn’t adequately calculate how energetic and inquisitive the smallest member of our group would be. We had a great time wandering around the park and caught some beautiful candid style portraits, but when it came to getting the family together and sitting down, he had higher priorities. And who could blame him? I mean, maybe we were the crazy ones for paying attention to this stupid camera instead of all the interesting stuff around us. So, after giving it a solid effort at the gardens, we decided to reconvene at a later date closer to home, in more familiar territory. The day finally came and we were joined by grandparents and took the opportunity to create some photos with everyone together. Portrait sessions have a lot of different shapes, and there’s no one-right-way to do it. And that’s okay—that’s the reality when the kids are ultimately in charge! From the first session and the supplemental session we held soon after, we got a lot of really nice stuff. Check out some of our favorites below, and if you’re looking for someone to create portraits of your family, check out the Portrait Photography page here on our website!